There is no incentive for the Queensland government to eradicate fire ants. The Commonwealth and other States and Territory governments will fund an eradication program, in the national interest, but not a program for Queensland to contain fire ants within its borders. The Queensland government promises to eradicate fire ants to access national funding: 50% from the federal government and 40% from the other States and Territories. Queensland contributes just 10% of the funds, but makes 100% of the decisions on how it is spent: mostly on jobs programs to address Queensland high unemployment rate. Minister Furner is responsible for the most recent fire ant jobs program. Fire ants were detected at the Port of Brisbane and in Brisbane’s south-west in February 2001. In the same month, the ALP Beattie government won a landslide State election on the promise of ‘Jobs, Jobs, Jobs’ to address Queensland’s whopping unemployment rate of 8.5%. 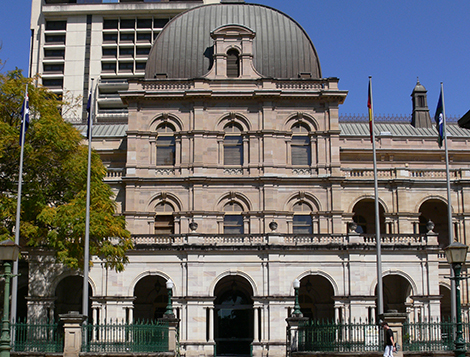 Henry Palaszczuk, a long-time back-bencher, had been Minister for Primary Industries long enough to know just how much money comes into Queensland for eradication programs, but not containment programs. His own electorate of Inala, had a particularly high levels of unemployment. In June 2001, fire ant experts from the USA said south-east Queensland was ‘fire ant heaven’ and the infestation was as bad as anything they had ever seen. They were ambivalent about chances of eradicating them, but, not wanting to contradict a local politician, said eradication might be possible if the infestation was tightly contained and baited it by air three or four times each summer for the next three years to suppress them. The Commonwealth department supported that recommendation. But Minister Palaszczuk, with his eye on kudos for creating hundreds of jobs, rejected both scientific and government advice and commissioned a ground force of four hundred people to look for and kill fire ants. The recruitment of four hundred unskilled person, many long-term unemployed people from Minister Palaszczuk’s own electorate, was a gold-mine for the Russo Recruitment Agency, kudos for the minister, but a very expensive and wasteful use of public money. In 2005, the program auditor said ‘The existing workforce has proven extremely difficult and costly to manage because the initial recruitment process did not use background and medical checks to select the most suitable candidates’ and it was the biggest drain on the efficiency of the program. Jobs creation programs continued. In 2002, the program abandoned its scientifically-based ‘bait and wait’ approach and introduced the controversial practice of injecting insecticide directly into nests: turning the program into one of ‘seek and destroy.’ The 2002 scientific review said ‘Nest injections appear to cause nests to split into a series of separate nests potentially (making the problem worse).’ The 2004 scientific review said ‘Nest injection is very labour intensive and reasonably ineffective. It is questionable whether the practice justifies the extra resources it requires.’ But it continues to create a lot of job. Minister Furner is now responsible for the current jobs creation program to address Queensland’s unemployment rate was 6.3%: the highest in the country. As Biosecurity Queensland ‘ramped-up’ for the new $411.m Ten Year Eradication Program (2017-27), staff numbers blew out to 225, 100 over plan and over budget. By January 2019, program depots in Berrinba and Laidley were bulging with another 160 contract field staff, getting staff levels close to 400 again. High-turnover of contact staff, because they were sacked or leave because of chaotic management, is a gold-mine to recruitment agencies but a waste of public money. And 40% of the program’s budget is consumed by fifty-five well-paid, non-operational positions: Directors, Administration and Procurement Officers, WH&S Officers, HR Officers, Policy and Governance Officers, Planning and QA Officers, Ramp-Up Officers and include a scientific team that is larger than the Compliance and Community Engagement teams combined. There is not a scrap of scientific evidence it is technically feasible or cost-beneficial to eradicate fire ants from Australia. It is likely the aggressive containment and suppression program US fire ant experts recommended in 2001 would have contained fire ants to a fraction of the area they now infest, at a fraction of the cost. In June 2001, US fire ant experts were shocked at the extent and density of the fire ant infestation in south-east Queensland and recommended delimiting the infestation, ‘put your arms around it’ they said, then mount an aggressive containment program and intensively baiting the infestation to suppress it. In 2004 another independent scientific review team could not assess the program progress because there was no data on what had been treated, what had not, and with what, and no data on what had been surveyed or not. They made twenty-six recommendations, mostly the same as the ones the 2002 review team had made but the program rejected. In 2006 another independent scientific review team said the resurgence of fire ants after full treatment and sixty infestations found beyond the operations of the program meant it wasn’t working, and recommended starting again with tight containment and nine rounds of aerial baiting over three years. In 2009 another independent scientific review team was shocked the infestation was by then at ‘all-time high of 93,000ha’. They said ‘Current surveillance methods are inadequate for defining the limits of the infestation or for detecting new infestations…. the efficacy of current treatment methods is questionable given that infestations are recurring in key or difficult habitats’ and ‘concluded that fire ants cannot be eradicated from Brisbane using current techniques’, and they recommended reverting to a containment program. In 2013, Biosecurity Queensland commissioned a review by Monash University to assess the program’s progress in eradicating fire ants. The review team said the opportunity to eradicate fire ants had been lost because there are always fire ants beyond the operations of the program and fire ants continued to advance, at a steady rate, south into the Gold Coast and the Scenic Rim and west into the Lockyer Valley. In 2015, the Queensland Biosecurity Capability review team ‘formed the view that Biosecurity Queensland does not have the capacity to implement the changes required to meet the needs of the future and address current needs’ because of poor leadership, poor financial management, and because the program does not collect high quality, timely and well-understood performance information and does not evaluate its uses of resources like staff. In 2017, the Queensland Audit Office said Biosecurity Queensland cannot always demonstrate that it is achieving its program goals because it does not capture reliable and consistent data on the costs of its programs because it has no specific, measurable performance indicators relevant to program objectives. Biosecurity Queensland has abrogated its responsibility to contain the spread of fire ants. To make sure the fire ant program looks like a fund-attracting eradication program, and not a ‘Queensland pays’ containment program, Biosecurity Queensland disbanded it team of twenty biosecurity inspectors who worked to identify potentially high-risk enterprises within the Fire Ant Biosecurity Zones, helped them develop risk management plans, audited those plans on a regular basis and prosecuted those who breached fire ant containment regulations. With the Biosecurity Act 2014, Biosecurity Queensland dumped the responsibility to contain the spread of fire ants onto the public with a ‘General Biosecurity Obligation.’ This means people and organisations living or working in fire ant biosecurity zones have a legal responsible to take all reasonable precautions to ensure they don’t spread fire ants by moving fire ant friendly materials such as soil, turf, mulch, baled hay or straw, animal manures, mining or quarry products, composts and potted plants out of infested areas. Public support for the program has been magnificent. 80% of the detection of new infestations are made by the public. But fire ants now infest dozens of new development sites, including many new housing estates because Biosecurity Queensland no longer has inspectors to work with high risk enterprises to help them mitigate their risk. This was the complaint of industry representatives at a Stakeholder Forum in May 2018. They wanted Biosecurity Queensland to re-instate the team of biosecurity inspectors, to re-introduce the use of Approved (Fire Ant) Risk Management Plans, to approve land development applications and to control the movement of fire ant carriers in and out of biosecurity zones. Biosecurity Queensland’s much heralded new, $411.4m Ten Year Fire Ant Eradication Program 2017-2027 (on top of the $400m Failed Fire Ant Program from 2001-16) shows the program is going from bad to worse. The plan was to significantly increase the size of the area treated for fire ants and the number of times those areas were treated. In 2017-18 Biosecurity Queensland planned to bait parts of the western edge of the infestation in the Lockyer Valley and the Scenic Rim regions three times during the summer and to spot treat persistent infestations in Ipswich, Brisbane, Logan, Redlands and Gold Coast cities to suppress those infestations. None of this happened. The area on the western edge targeted for treatment got one round of bait, less than half of it got two rounds of bait. None of it got three rounds of bait: virtually wasting a whole season of time, bait and money. Biosecurity Queensland abandoned its plan to spot treat persistent infestations in the eastern cities because it was swamped by 6,700 reports from the public (80% of which were positive for fire ants) and after injecting 21,500 nests. During 2017-18, nine well-established fire ant infestations were found north, south, south-west and west, beyond Biosecurity Queensland’s operational area in new housing estates in Bridgeman Downs in Brisbane, in Lowood and Beaudesert and in Labrador on the Gold Coast and in five agricultural areas in the Lockyer Valley: three in Thornton plus infestations in Blenheim and Townson. Mostly fire ants had come onto those properties in loads of soil, mulch or turf but because Biosecurity Queensland could not identify the suppliers, or the suppliers held Biosecurity permits, Biosecurity Queensland did not prosecute any of them for moving infested materials. The truth is fire ants are out of control and Biosecurity Queensland has wasted $500m of public money. The infestation in south-east Queensland in 2002 was around 40,000ha. It is now more than ten times that size with fire ants infesting Brisbane, Ipswich, Logan, Redlands and Gold Coast cities and having spread into the Sunshine Coast, Moreton Bay, Somerset, Scenic Rim and Lockyer Valley regional areas because Biosecurity Queensland cannot find fire ants, cannot kill fire ants and cannot stop them spreading. The truth is: it is time for a Royal Commission to hold all Queensland Agriculture Ministers, all Program Directors and all Steering Committee members since 2001 accountable for this biosecurity disaster and this colossal waste of public money.